Day 7, July 27th, SS22-SS25 The offroad adventure more tough and toughest at the Twilight Zone in Green Mountain Field, Agricultural Forest Park Mina, queue.These brave men and women offroader warriors Indian, Malaysia and British have to using full power to fighting in the last battle of the jungle. Today, It still has to break through the large rocks, beautiful small river and the most dangerous from rocks which were waiting to break down the suspension all of the cars. Man and machine must unique one for up to the top winner. 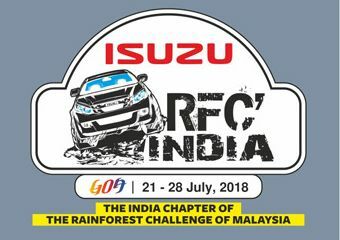 So,The last day in the jungle were the most challenging, exciting and very important to decide who will be the ultimate champion of the champion offroad of India this year.